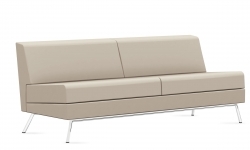 Heavy duty construction to support 24/7 use and withstand wear and tear in high traffic, high demand environments. 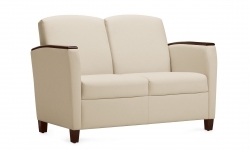 Flared arms and transitional lines complement both modern and traditional interiors. 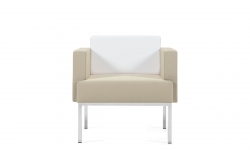 Simple geometry and slim proportions help create relaxed and open atmospheres. 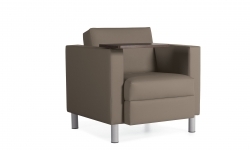 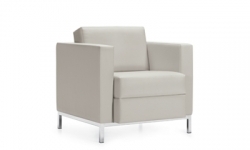 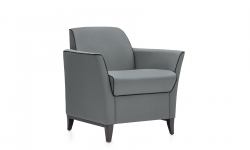 A modern, compact club chair in a bucket-seat style. 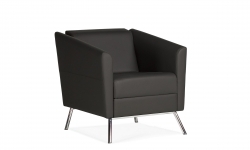 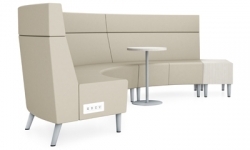 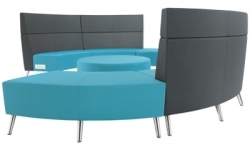 Ideal for reception areas, meeting rooms and private office use. 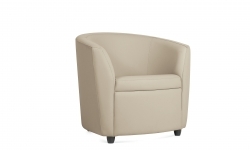 Wood veneer armcap and leg accents bring a touch of sophistication to lounge areas.